Every year, those who celebrate Día de los Muertos gather in their homes, churches and cemeteries to honor the souls of lost loved ones. They create altars with elements such as cempasúchil (marigold) flowers, incense, fresh pan de muerto bread, candles and calaveras (sugar skulls), as well as photographs and mementos of the departed. From 1-3 p.m. Saturday, Oct. 28, the Estacada Public Library will host a Día de los Muertos (Day of the Dead) Celebration, so those interested can participate in this tradition with origins in Mexico. "All are welcome (at the event) to learn about the Day of the Dead tradition," said Alice Perez Ververa, a librarian who is preparing the event. Perez Ververa noted that Día de los Muertos is a celebration of those who have passed away, so events are typically upbeat. 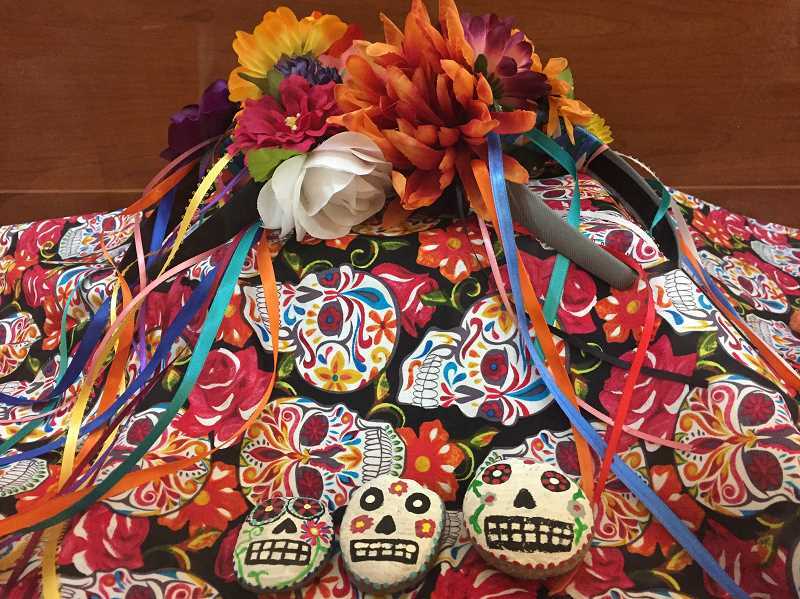 The event at the Estacada library will feature crafts, such as decorating sugar skulls. Particpants can have their faces painted as a calavera, or traditional Day of the Dead skull. Perez Ververa noted that though Día de los Muertos originated in Mexico, it is acknowledged internationally and celebrated by people of Mexican heritage living in other places, particularly the United States. Traditionally, it's celebrated between Oct. 31 and Nov. 2. What: Día de los Muertos, celebrating lost loved ones with crafts and face painting. When: 1-3 p.m. Saturday, Oct. 28.